And roughly 14 wheels of raclette every night, but who's counting? 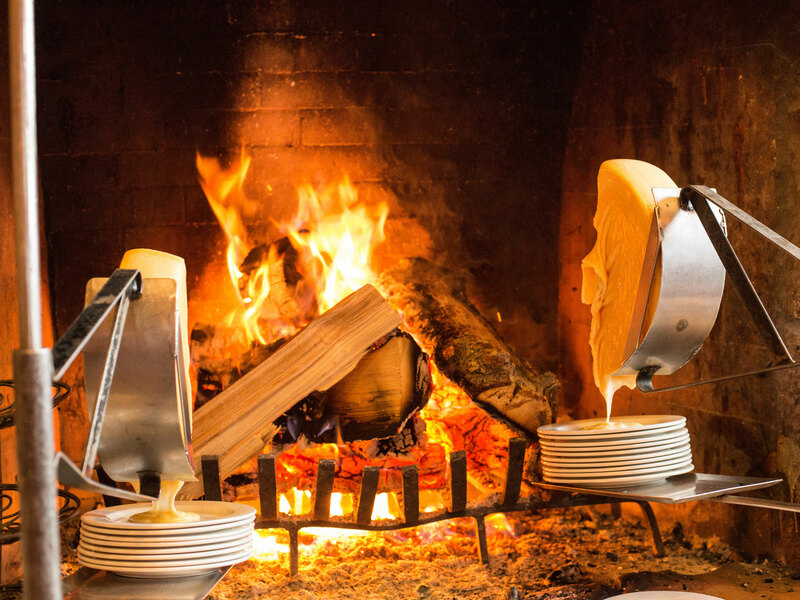 For cheese lovers, there’s only one way to do après ski in Deer Valley, and that's by posting up next to the raclette fireplace at’s seasonal, winter-only restaurant. Yes, it’s as dreamy as it sounds, and yes, we’re referring to the gooey European delicacy that involves melting Swiss cheese and scraping it over an assortment of carbs and meats. It's the ultimate warm-up meal after a day on the slopes, and you don’t have to jet to the Alps to experience it, as a visit to Deer Valley, Utah will give you all the same gooey, cheesy feels. By night, the lodge morphs into one of Deer Valley’s coziest dinner s, with four-stone fireplaces serving up raclette, Alpine favorites (think elk tenderloin, Swiss veal and mushroom stew, osso bucco), roasted leg of lamb and fondue (don’t miss the Horchata fondue and freshly baked churros at this station). While all are worth tasting, please hit the raclette station first ... and in between every other station, as well. Before launching to the public, the concept was trialed at the wedding of the resort's director of food and beverage, Jodie Rogers, to “test how the melting cheese would keep up with large numbers.” The metal raclette stands were welded in-house by the Deer Valley maintenance team, an exclusive structure for the restaurant that stabilizes the cheese wheel fireside for the perfect melt-onto-plate every single time. A huge hit at Rogers’ wedding, the raclette stands became permanent fixtures after its first season in 2003. On an average night, the restaurant goes through roughly 14 wheels of raclette cheese. The food and beverage team that preorders the cheese has prepared to go through roughly 700 wheels this winter. That's a hell of a lot of cheese. One of the most popular combos is raclette smothered over boiled potatoes, prosciutto and cornichons, though some prefer spreading melted raclette over a freshly baked slice of baguette, with equal parts housemade fig mustard and strawberry chutney for a bite that’s sweet and savory. Or, you know, shaking it up and adding cheese alongside elk tenderloin from the Alpine station. For an at-home raclette gathering, Rogers recommends using assorted meats you already have in your refrigerator, if you don’t happen to have prosciutto, Sopressata and blunderfleisch lying around. “I like a spicy Calabrese or any of the Creminelli products,” she says. 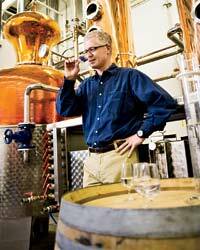 “Truffle samali is amazing, too. We also serve the traditional steamed fingerling potatoes but new reds work, too. We have assorted homemade mustards that rotate in and out. At times we will be asked for broccoli, which really goes well too." She also suggests "any vegetable that is pickled" as a great complement to the cheese. At Fireside Dining, the “Back and Forth Across the Border” wine pairing entails three-ounce pours of Grüner Veltliner, Kerner, Zweigelt that pair effortlessly with, let’s say, endless raclette visits, or a local beer flight with the best craft brews from Utah. Open Wednesday through Saturday during winter, Fireside Dining encourages guests to make a reservation, as there are folks, myself included, who linger around the raclette fireplace for hours in one sitting—and after seeing the sizzling cheese melt onto a stark white plate for the first time, you, too, will become addicted to this . Rogers asks, “Who does not want to see dripping cheese coming out of the fireplace?" And we certainly don't have an answer.